You will be exporting a file from Buddy Punch and importing it into ADP Workforce Now. You must be an administrator to set up the ADP Workforce Now integration. 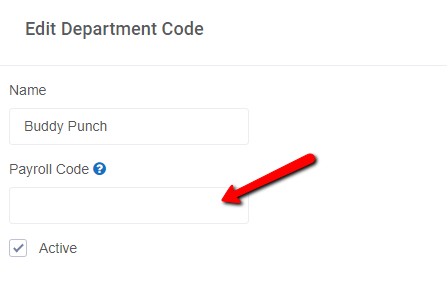 If you have multiple ADP company codes, you'll need to use a unique Buddy Punch account for each company code. If an employee is leaving your business, do not delete the employee from Buddy Punch until after you've processed payroll. If you need help finding this information, contact your ADP representative. These steps will allow you to turn on the integration in Buddy Punch and add ADP information to allow the systems to communicate. Enter your ADP Company Code. Enter the ADP Batch Number that corresponds to this Buddy Punch account (optional). 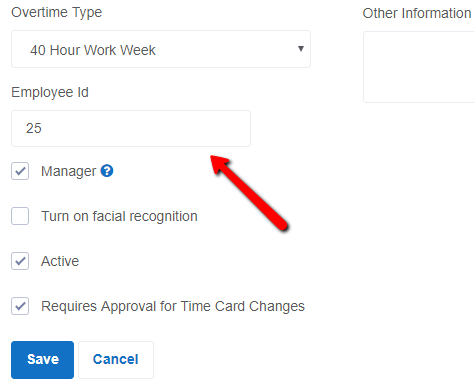 Set up earnings codes so that employees' hours transfer correctly from Buddy Punch to ADP Workforce Now. Map each Buddy Punch earnings code (Double Overtime, Paid Time Off, Sick Days, and Holiday) to an ADP Code and Hour Type. If you don't set up an earnings code, any time logged under that code in Buddy Punch is exported as regular hours. For each Buddy Punch employee, add the employee's ADP file number. If you don't want to include an employee in the export, do not enter a file (ID) number for that employee. When a pay period has ended, review and finalize time cards. When you are ready to transfer time you'll be using the "Payroll Export" report in Buddy Punch. Using the drop down, select ADP. Do NOT open the file in Excel and re-save it. Doing so will change the data in the file (ie, 001 becomes 1). Do not modify the file name; if you change the name it will fail to import into ADP Workforce Now. Upload the CSV file to ADP Workforce Now. If you need assistance with this step, contact your ADP representative or view our import help article.